A workshop – which will feature leaders from national defence and consulting firms – will be held at Launceston’s Tail Race Centre tomorrow (Thursday, 18 October). The University’s Deputy Vice-Chancellor (Research), Professor Brigid Heywood, said if the proposed precinct was realised it would build on existing defence strengths in the north and incorporate new endeavours across a range of disciplines. In June last year the Federal and State Governments, along with the University, agreed to co-fund a feasibility study into the idea of the precinct. A business case to support the concept is due at the end of this month. “The potential of this defence and innovation cluster is considerable,” Professor Heywood said. It is important as things progress that we incorporate the views of business and industry and that Tasmanian operators understand what opportunities exist and how they can be tapped. The University is currently pursuing a vision of delivering teaching and research which is modelled on the distinctive strengths of the regions in which it operates. 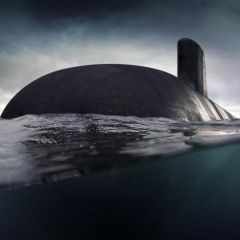 It has an existing defence focus in the north in naval design and systems at the AMC, along with the Centre for Food Innovation, which operates in collaboration with Commonwealth defence and science partners. “We have other research credentials in the north which are literally of world standing, such as the health sciences, which hold much promise in the context of defence and national security,” Professor Heywood said. The concept for the defence and innovation precinct sits within a broader $300 million investment program to establish new University precincts at Inveresk in Launceston and West Park at Burnie. Under those plans, it is proposed that AMC will remain at Newnham, as part of a precinct enhanced by the new defence and innovation cluster.